Skin is actually the largest organ in our body. The various skin/personal care products we use daily penetrate the skin and end up in our bloodstream. Sadly most of the products on the market contain harmful ingredients, and the conglomerates behind these products have not exactly been forthcoming or honest when it comes to just how detrimental these ingredients can be, after all, this is a huge money-making industry that would lose quite a bit. L'uvalla is a company that stands in stark contrast. Their company stemmed out of an outrage over over the lack of regulation in this industry including products claiming to be 'natural' and 'organic'. L'uvalla also had a desire provide authentic, natural, organic products that would be effective and environmentally friendly. L'uvalla standards are very high, their products are not only approved by COSMEBIO , they are the first to be 100% natural. All of L'uvalla products are also certified organic. I love that their products are completely cruelty free and vegan. Absolutely no animal testing! The ingredients in L'uvalla products all come from nature and are perfectly formulated to help you achieve beautiful healthy skin. 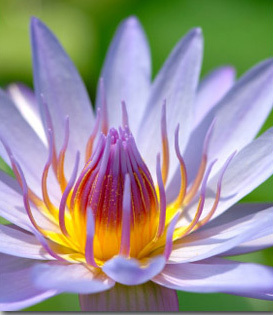 Lotus Flower Extact is a "powerful anti-inflammatory and antioxidant properties, but also strong purifying and protective virtues which soften your skin and protect it from the harmful effects of UV rays." I just recently started using L'uvalla products, however, as a skincare junkie I know a gem when I find one. These products are wonderful and in a class by themselves. The benefits of these products surpass just beautifying your skin. 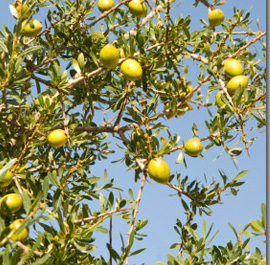 Because L'uvalla products contain therapeutic grade essential oils you are also receiving the benefits of Aromatherapy. I absolutely love using these products! You can find and purchase all of these amazing products on L'uvalla's Website, or you can use their Store Locator to find a local distributor. I love their moto "L'uvalla is a way of life: mindful, healthy, balanced, and beautiful"
I would love to try their Anti-Wrinkle Eye/Lip Cream. I'd love to try the Regenerating Day/Night Cream! I follow your blog and would love to try the Balancing System line. I follow L'uvalla on Twitter @adthomas. I subscribe to L'uvalla's Blog. I subscribe to L'uvalla's Blog (Extra Entry #2). I follow Featured Product Reviews on Google Friend Connect (Extra Entry #1). I follow Featured Product Reviews on Google Friend Connect (Extra Entry #2). I clicked the like button (Extra Entry #1). I clicked the like button (Extra Entry #2). A neat thing I learned that the Lotus flower is has been around over 2000 years and is considered to be one of the most ancient plants in existence today. the orange toner looks amazing! i bet it smells yummy! I'd love to try their orange toner. It looks so refreshing! Hi, I follow you via Google Friend Connect! I'd like to try the Regenerating Day/Night Cream! i learned that 100% L'uvalla has a LUV IT guarantee. If you are dissatisfied for any reason with a L'uvalla product that you purchased from the site, you may return it within 45 days of the ship date for an exchange, a refund or a credit. I'am your follower now on GFC. I subscribe to L'uvallas Blog and would love to try the Balancing cream. I followed Featured Product Review on GFC. I subscribe to your blog via my yahoo mail. I click the like button. I learned that I can fully support L'Uvalla because of their environmentally safe practices. I've liked L'Uvalla on Facebook and subscribed to their blog as well as yours. The Anti-Wrinkle Eye/Lip Cream is something that I'd like to try. Id love to try the orange toner.Thanks for the chance. I learned that Luvalla has two signature ingredients: Aragan oil and Lotus Flower Extract. I would love to try Balancing System and I love that it comes with a 100% Luv it guarentee! Out hopping found your link through giveaway listings ...following you now and wouldn't hate to win this! I'd love to try their orange toner. I would like to try the hydrating milk cleanser. I clicked the like button. mary at cire dot com 2. Alfalfa extract is an extract of the roots of the alfalfa. It is used for its extremely high source of proteins, minerals and vitamins A, B, C, E and K. Various acute and chronic inflammatory symptoms associated with degeneration and aging can be alleviated with Alfalfa. I DON'T HAVE TWITTER BUT "LIKE" ON FACEBOOK AND I HAVE SUBSCRIBED. ALL THE PRODUCTS SEEM SO HEALTHY AND WILL MAKE YOU HAVE A FRESH GLOW I BET! I HOPE I WIN SO I CAN FEEL THIS WAY ALL DAY...ALL THE TIME! THANKS...EVEN IF I DON'T WIN...I STILL ENJOY PRODUCTS LIKE THIS! I follow your Blog, and liked you on FB and clicked one of your ads....let's see, what else can I do...LOL Anyway, with a rare auto-immune disorder, I'm always looking for healthy items and this looks really good. Thanks for the giveaway! I love that the products are 100% natural! i really want to try the balancing cream! I'm following on GFC. Their products are available at Whole Foods! I subscribed to L'uvalla's blog via RSS feed. I'm a GFC follower and I'd like to try the Anti-Wrinkle Eye/Lip Cream! Wonderful company and products! I am a GFC follower and I would love to try the hydrating milk cleanser! I am a gfc follower and I would love to try the anti wrinkle eye and lip cream. Following you on Twitter and Tweeted your message. Hello! I follow you on twitter (boredjennmarie) and retweeted your contest. I also love the use of argon oil in the products. I've heard nothing but amazing things about it. L'uvalla (loo-VA-la) means love the spirit within all things. Love your skin - L'uvalla Certified Organic skin care products use the powerful, healing properties of nature to bring out your skin's natural beauty. GFC follower as lewalk. I would LOVE to try the Balancing Cream for combo skin. My skin is in worse shape now than it was when I was a kid. I need all the help I can get. Lol. Subscribed to their blog via RSS feed. 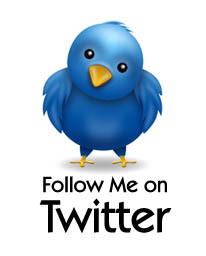 Follow you on Twitter as lewalk76 and tweeted. Twitter follower and tweeted 2. Follow Featured Product Reviews on GFC as lewalk. I would love to try the eucalyptus toner. #1 Subscribed to L'uvalla's Blog. #2 Subscribed to L'uvalla's Blog.